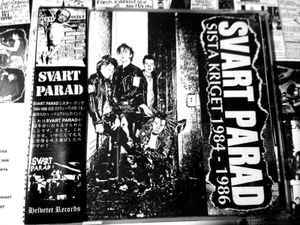 Tracks 1 to 4: "Hur Fan Kan Ni Tolerera Grymheter Som Slakthus" demo #2 - May 1985. Tracks 5 to 12: "Myteri" demo #1 - October 31st, 1984, minus one track. Tracks 13 to 22: "Multisvält" demo #4 - August 31st, 1985. Tracks 23 to 29 are 1986 recordings and were supposed to be released as a split cassette tape with the band Kazjurol.